We did our standard rock set lists. No 20s stuff. If it was, I guess 20s would have to be something like Captain Matchbox Whoopee Band or even electro-swing! Nice, but exotic. 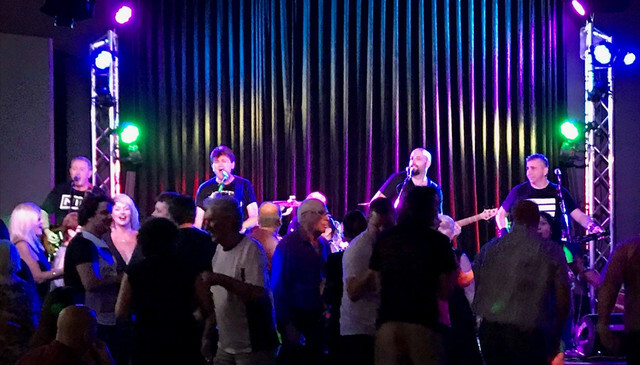 Saturday night at North Bondi RSL with Oz Icons. That looks great Owen. Quick question, how are you finding hearing drums with those barriers in place? Drums are plenty loud enough with the shield AND earplugs. The cymbals & snare aren’t as harsh. Need a tiny bit of kick drum occasionally. The singer owns it and brings it to gigs to help him hear better. Less mic spill too. From the Oz Icons set at Canterbury-HP RSL tonight. 80’s Show pics to come. Oz Icons at Blacktown Aus Day concert Saturday arvo 4-7pm. It was a 40°C day and full sun on stage. 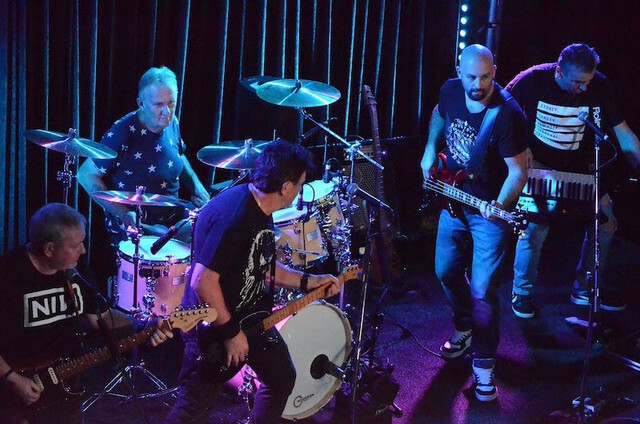 We supported Ted Mulry Gang and Screaming Jets who played at night. Totally Aussie 80’s Party gig at Quakers Inn on Sat night. Thankfully there was air conditioning. Sure was. I hadda pub gig Sat afternoon, pub was air-conditioned but I still was VERY thankful that I'd brought my fan! Ah, the old Jag bass. Sounds good in your hands Mike. Hope you're enjoying it! Having fun with it. I've probably used it on half a dozen gigs so far. I like it a lot in bigger open venues or outdoors. It feels a little hard to control in some of tight little boomy venues (it's not alone there, I have a couple of venues where many basses have tried and fallen by the wayside, by which I mean, of course *I* have tried and failed to pull a usable tone). We played one such venue on Sunday night and I tried every combination of pickups, preamp and my HPF and I seemed to be constantly juggling between obliterating everything in my path or unable to hear pitch very well . I have a lot of "baggage" to unlearn before I get the best out of it. Things work with it that I wouldn't expect to work and maybe a little vice versa. The Gibson pickups drive my HPF and amp very differently to anything else I have used before. It's a fun beast for sure, enjoying it a lot. The switch you're unsure of is a high pass switch. It lobs out alot of the lows in similar way to newer Rickenbacker 4003 basses. Did you try that in the boomy venues?